Falling in love is easy, if you meet the right person… But what if Mr or Ms Right doesn’t speak your language? 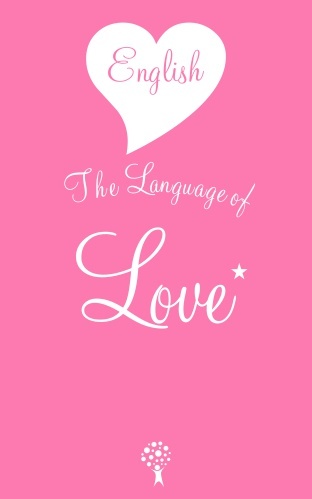 From asking someone out and going on a date to falling in love, romance and more, this book gives you all the English you need to speak the Language of Love. Below is a list of the contents. Each section is full of useful phrases in English. Utilisant une base facile à comprendre avec un langage élaborer, proposant un large éventail de situations dans la vie commune, saupoudré de citations et de belles illustrations, ce livre offre un fantastique cocktail pour tomber amoureux en/avec l'anglais. Whoever would have guessed that English is The Language of Love? Stephen Howe makes the case superbly in this delightful book. Whether you're a romantic veteran of a thousand campaigns or a relative newcomer to the art of relationships, your horizons will be broadened (and your chances improved!) by this book. It's just an incredibly fun read, and also makes excellent sense as a language learning resource. Satisfaction guaranteed! English The Language of Love and the Tree of Knowledge logo are worldwide trademarks and/or service marks of The Whole World Company Limited. All rights reserved worldwide. © 1996-2019 The Whole World Company Limited, Cambridge, England.